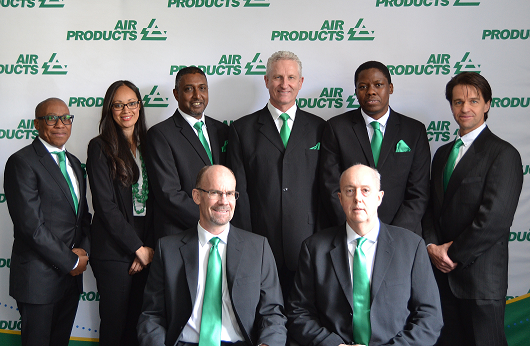 On 12 March 1969, Air Products South Africa (Pty) Ltd officially started its journey as a Southern African controlled company on the basis of a 50/50 joint venture between Iscor Ltd (currently controlled by Remgro Ltd) and Air Products and Chemicals Inc. 50 Years later, they are celebrating a company which has built a reputation for its innovative culture, operational excellence and commitment to safety, security and the environment. Air Products South Africa Managing Director, Rob Richardson, comments on this milestone: “Our effective and flexible gas solutions have ensured that we have grown our market share over the years, and today we are proud to say that we are one of the largest suppliers in Southern Africa”. Richardson further mentions that he firmly believes the success of the company is as a result of a strong leadership team sharing a vision over the years and implementing strategies aligned to this vision. “We currently find ourselves in a stable financial position due to our sound business practices which we maintained over time”, says Richardson. Due to the nature of the company, he further states that Air Products South Africa has ensured the highest industry certification and specifications have been implemented at all facilities nationally, as nothing is more important than safety. Richardson further explains: “We are in a fortunate position to have longstanding relationships with our customers and have been supplying them with gas solutions for a number of years. We have always strived to adopt new technology and innovations and look for ways to continuously improve our offering. I believe that our effective and flexible supply chain offering complements our efforts to provide a secure gas supply”. Richardson concludes by saying: “I am honoured to be the current Managing Director of Air Products South Africa – it is a tremendous achievement for a company to have shown the growth and experienced the successes that we have been able to celebrate over the years. I would like to thank each and every customer, supplier and employee who has contributed to our success since 1969”. For more information on Air Products, visit www.airproducts.co.za. If you need more information, please contact me on the numbers provided below.